Apple continues to work behind the scenes to grow its struggling iAd platform, with its latest efforts focused on improving the service in Latin America. The iPhone maker's efforts in Spanish- and Portuguese-speaking countries have led it to partner with Miami's Internet Media Services, according to Forbes. IMI has previously established deals with companies like Twitter and Spotify to grow their respective brands in Latin America. "Apple has finally decided to make it happen in Latin America," IMS Chief Executive Gastón Taratuta reportedly said. "Considering how much the smartphone penetration is constantly growing in the region, they see an interesting opportunity." As a result of the partnership, top IMS clients from Miami, Brazil and Mexico will be brought onto Apple's iAd platform, the report said. The partnership comes after Apple debuted iAd in 70 new countries toward the end of 2014, bringing the total number of active regions to 95. Greater attention has been paid to iAd and its growth in recent months, after the mobile advertising platform failed to live up to initial expectations after it debuted back in 2010. Apple also recently began offering automated iAd sales as yet another bid to boost its mobile advertising business. 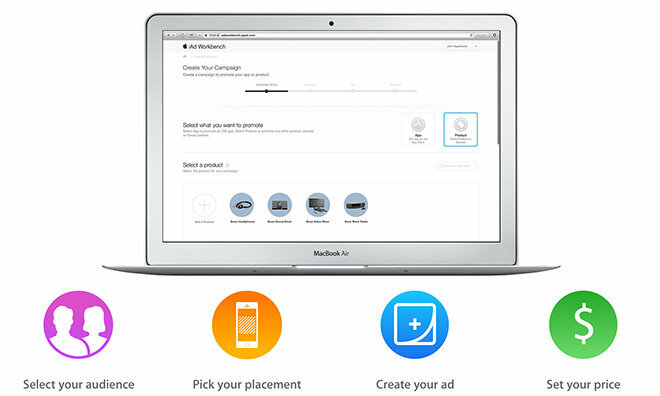 The change brought Apple in line with other ad services, allowing advertisers to make "programatic" purchases for ad space.